Check out the bizarre scene of the two boys—one in his swimming trunks and the other in his rain coat jumping in a puddle. 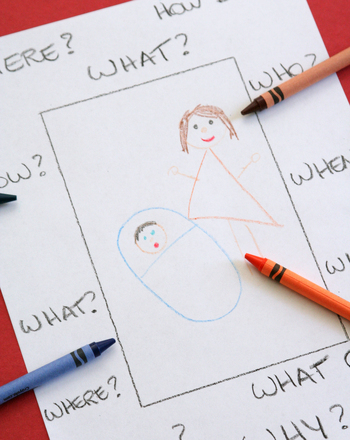 Use your imagination to write down questions that one boy may be asking the other. 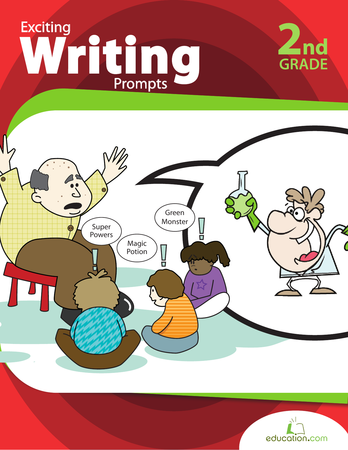 For more creative writing for kids, click Here. Students will check for correct punctuation, capitalization, complete sentences, and staying on topic. Challenge your students to form a well-reasoned argument with this writing prompt (and rubric!) that's sure to evoke some strong opinions.